LOL!! OK so here is a LATE High Five... I had limited time so I just put the distances instead of all the race details. BUT...I did make it around to give some REAL High Five comments which was fun. Our Weekend is still TBD. There is a HUGE pile of dirt in our front drive, so I guess Yard work is on the schedule. Maybe a deck, maybe a patio, who knows? But by Monday we should have a REAL yard.. Grass seed or Sod? Thoughts? Run to the Finish- $80 CSN Gift Card Ends 6/10 -I WANT to WIN this...I need a new purse.. 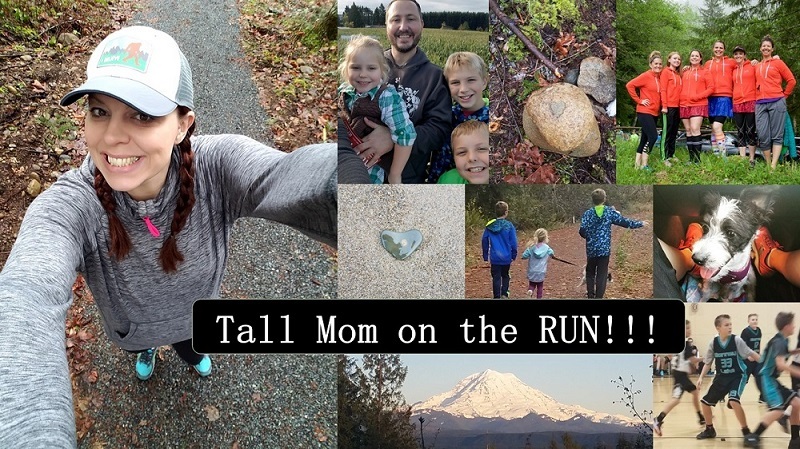 Please Tell Amanda Tall Mom sent you and you can post an extra entry to my CEP Giveaway Above...but you have to leave a comment on both Giveaways. Leave a Comment HERE that says "I tried to Help you win on Run to the finish"
Cant wait to see what you guys do with the yard over the weekend! My vote is for sod - unless you feel like racking up some miles running around your yard chasing the birds away. We tried to seed a 6x6 portion of our backyard and I think all the seed was eaten within the first 20 minutes of laying it. i need a high five for being awesome and a winner!!! Ok, I seeded some pretty big holes in my yard about two weeks ago. I got worried it was too cold and too rainy for the little seedlings to grow but just yesterday I went out and sure enough my bare dirt spots are sprouting little tiny green hairs! it seriously looks like a cartoon character head of a balding man, you know? With little sprouts of hair! I was thrilled to see them growing and Levi thinks it is cool too! but a whole yard would be hard. You are supposed to water twice a day. The money saved on seed as opposed to sod would be seen on your water bill not to mention the time and energy of watering. I bet you have to water sod though too...we used this seed that was mixed in with a degradable paper mixture that keeps the birds away, i think. It looks like a mess but by the time the grass is growing the paper is disolving! But still, if I were doing a whole yard I think I would go with sod. Hi Tall Mom! I'm patiently waiting for your CEP Compression socks (because I AM the winner) but wanted to give you a heads up in case you might be interested- I am giving away 13 items in honor of my 13.1 for CCFA and Team Challenge over at http://fromfat2fab2009.blogspot.com! I set it up to try to raise money for my run but no donations are required! Are you laying the sod yourself? It is a good workout. We tried grass seed and it didn't work well for us, but it may have just been our climate. Good luck! Thanks for the high five love! Can't wait to see you in less than a month! I vote seed. But I grew up farming. I know nothing about sod vs seed but good luck with all the yard work. I hate doing it but it is so nice when it's done and you have a nice yard to enjoy. Have a great weekend! Have fun with the yard! Need instant gratification: sod. Like seeing the growth process: seed. Seed, the anticipation is fun! Have a great long weekend! I love this! it is so great you're so aware of the blog community. Good luck to all in the races (wish I was running one)! if you get the right grass seed it will look and feel a lot like sod for a lot cheaper, but i cant think of the name of it right off the top of my head. Thanks for the High Five! I feel so blessed...now if only you could send me some of your speed!